The Volkswagen Connect telematics solution is now being fitted as standard on all new Up and Polo models, bringing drivers a range of fuel economy features and other services. 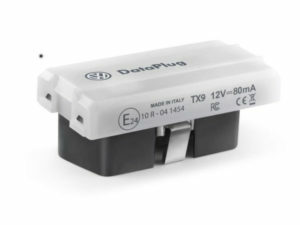 The DataPlug solution is now fitted as standard on new Polo and Up models. Launched last summer under a free retro-fit service for VW cars built after 2007, the system uses a DataPlug and app to provide drivers with some of the benefits of the VW Car-Net system seen in vehicles including the Golf, Tiguan and Arteon. Now being included as standard on Up and Polo models, the solution enables drivers to record information about each journey, including the miles driven. This works with the Fuel Monitor to give an accurate figure for the cost of every journey by comparing fuel consumption with the cost of the fuel in the car. Drivers can also receive analysis of their driving style and tailored eco tips including an optional gamification element. The service can also be used to provide parking location and duration reminders along with driver assistance, while the service partner facility can also automatically alert on when a service is due and arrange for the dealer to phone to arrange an appointment. Previous: Spotted: Is Apple Maps 3D plotting for driverless future?